A North Carolina official will recommend a Forest City nonprofit with deep ties to the state’s school choice movement—including the ex-legislator who spearheaded the program’s creation—to helm the controversial school takeover program in Robeson County. 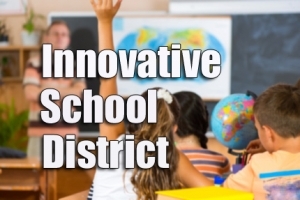 Officials with the Innovative School District (ISD) passed along their recommendation to the State Board of Education Monday, after weeks of back-and-forth over the qualifications of the two organizations vying for the job in 2018-2019. ISD Superintendent Eric Hall said he is recommending Achievement for All Children (AAC), which formed last year, following a third-party review, background checks, community panel discussions and a “comprehensive” application. “I am impressed with both AAC and The Romine Group (TRG) for their willingness to engage with the ISD in the challenging work to improve outcomes in low-performing schools and participate in a very rigorous selection process,” Hall said in a statement Monday. The State Board of Education is expected to vote on Hall’s recommendation in April. As Policy Watch has reported, AAC launched under the leadership of several influential school choice boosters in the state, including former state Rep. 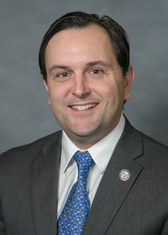 Rob Bryan, the Charlotte lawmaker who led the push to legalize the takeover program two years ago. Meanwhile, its CEO, Tony Helton, serves in the same position for TeamCFA, a charter network that runs 13 schools in North Carolina. TeamCFA is also connected to John Bryan (no relation to Rob Bryan), a wealthy, Oregon-based school choice advocate who helped to lobby for the takeover program. Supporters of the takeover program say it will bring reforms to long-struggling, public schools. But critics note similar efforts’ poor results in states like Tennessee, Michigan and Louisiana.